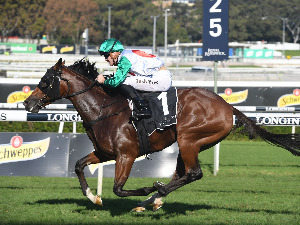 The Rosehill Timeform Wrap overview of San Domenico Stakes Day on August 25 by Alex Steedman. 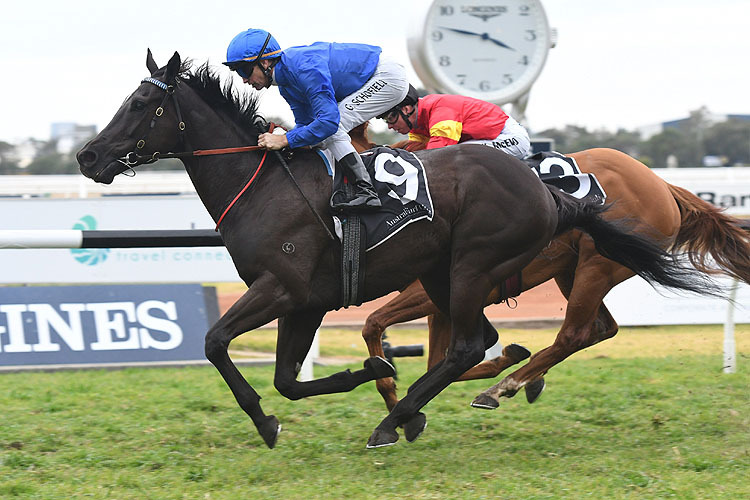 The Rosehill Timeform recap featuring a race by race overview of key performers and ones to watch out of the San Domenico Stakes program on August 25. Three Group races were conducted at Rosehill on Saturday spearheaded by the San Domenico Stakes claimed by Graff. Resuming after a two start maiden prep where he won both of his starts, Graff with Blinkers applied for the first time was a class above his rivals. Under the guidance of Jason Collett, the son of Star Witness settled on the fence and behind the leader Neutrality . Clear running emerged for Graff as Neutrality peeled off the rail turning for home and the three-year-old quickly capitalised. The colt struck the front just inside the 200m and drew clear for a 2.5 length success ahead of Neutrality. 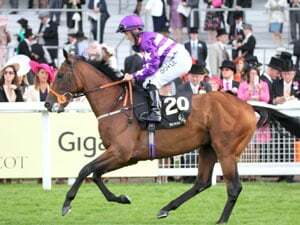 His winning display returned a Timeform rating of 117, an impressive 14 pounds clear of a prior master Timeform rating produced in the Clarendon Stakes (1300m) last autumn. 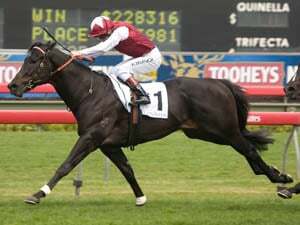 The figure sits right on the five year winning average of the San Domenico Stakes (1100m) and bodes well for the rest of Graff’s spring. Neutrality was also solid in second and while 2.5 lengths is a lot of ground to make up on Graff between now and the Golden Rose (1400m) on September 22, Team Snowden still have Blinkers up the sleeve to spark the necessary improvement. French import Avilius built on his impressive Australian debut when taking out the Group 3 Premier’s Cup (1900m). Sent out as an odds on favourite, the son of Pivotal didn’t disappoint, getting the better of I Am Serious late. After running to a Timeform rating of 107+ in his Australian debut, Avilius improved rising to Group level with a display assessed at 110p. Scary for Avilius’ upcoming opposition is the fact the Godolphin import ran higher figures in three of six French runs to commence his career. The pick of those runs was his second to Cracksman in the Group 2 Prix Niel (2400m) 12 months ago which yielded a Timeform rating of 117. 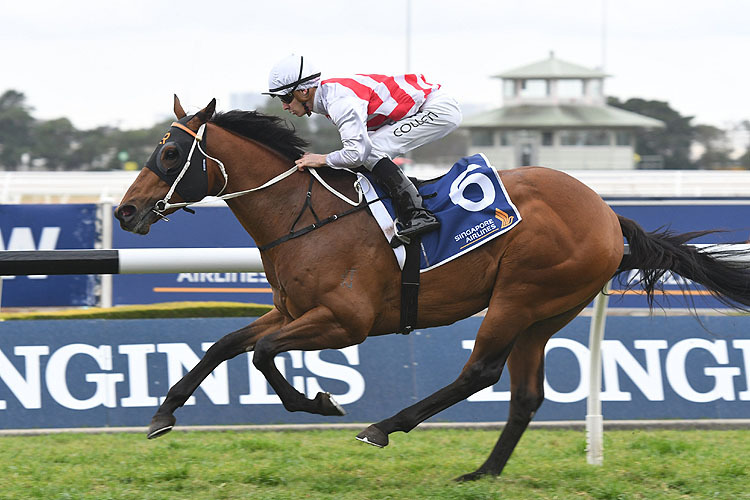 Avilius in theory still has plenty up the sleeve and is understandably favourite for the Group 1 Metropolitan (2400m) at Randwick on September 29. Danawi claimed the other Group race of the afternoon, giving jockey James Innes a career best win in the Ming Dynasty Quality (1400m). The son of Exceed And Excel led from pillar to post and was awarded the victory following an unsuccessful protest from the connections of runner up Mizzy . Dealmaker (3rd) and Aramayo (4th) were also working through their gears late like a step up to the mile will be beneficial. Danawi commenced his career with three straight seconds behind good opposition however moved out of their shadows in the Ming Dynasty with a performance assessed at 105. After the Group races were finished for the day, the Rosehill program was brought home by a pair of handicaps with key performers from them likely stakes bound in the coming weeks. Don’t Give A Damn impressed taking out a Benchmark 91 Handicap (1200m) with trainer Danny Williams suggesting either the Epsom Handicap or The Kosciusko are potential goals. Trekking held his own despite giving the winner 2.5kg while Renewal made significant late ground to run third after settling last. 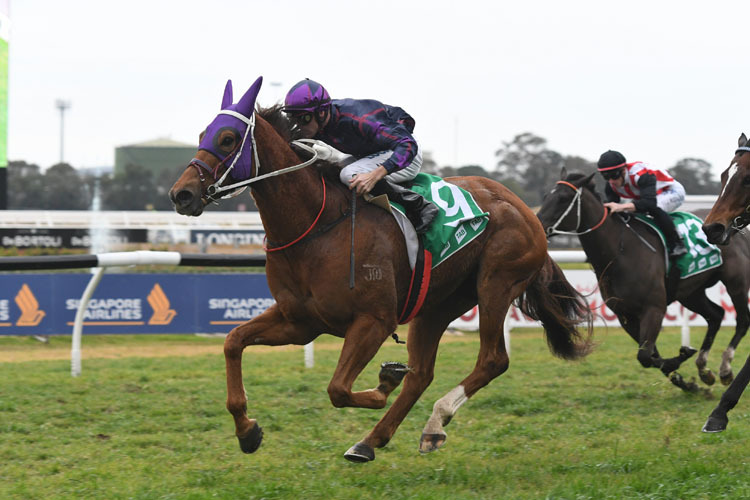 Paret made it a hat-trick of wins when claiming a 1500m Benchmark 82 Handicap. The son of Harbour Watch has been placed ideally to progress through his grades this spring. 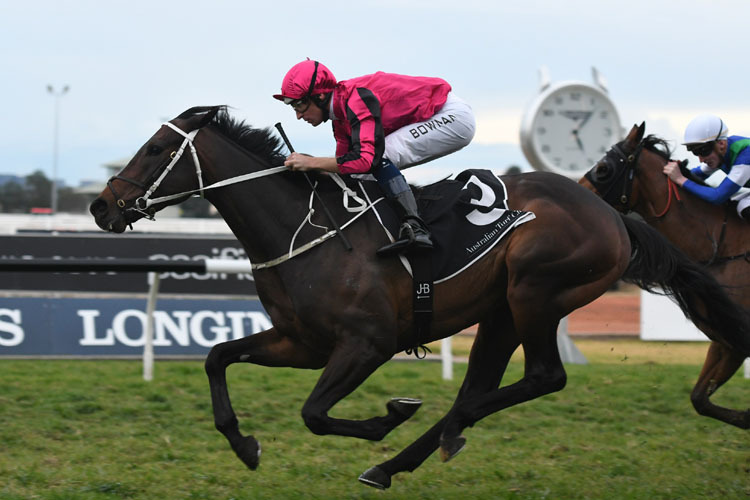 Chris Waller has been full of praise for Paret so far this prep and after three soft kills at Benchmark level, things will now begin to get serious as connections plot a path to the Epsom Handicap (1600m) on September 29. 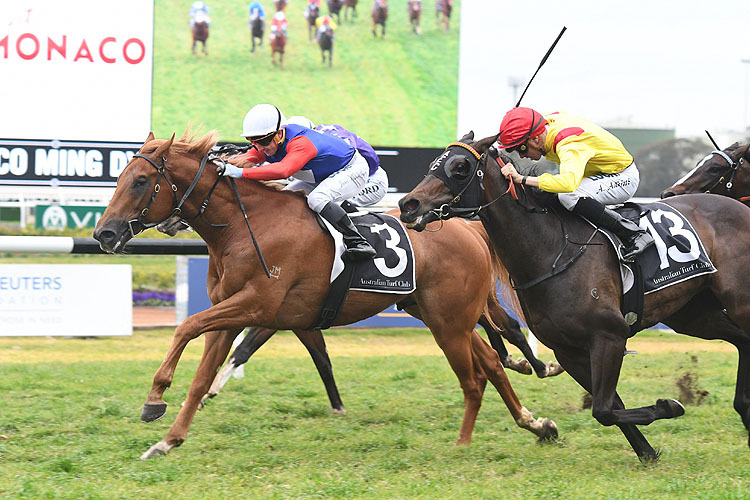 The Group 3 Bill Ritchie Handicap (1400m) at Randwick on September 15 is his next likely goal due to the winner becoming exempt from ballot and penalty for the prestigious mile event. Race Synopsis: Kris Lees-trained colt Graff was an impressive first-up winner and remains unbeaten after three starts. He began well from his inside barrier (1) and settled in fourth place on the rails before getting through on the inner rounding the home turn. He went to the front at the 200m and then drew away to score a really good win decisively by two and a half lengths. Neutrality went to the front, was pressured in the early stages before holding a clear lead. He was taken a bit deeper rounding the home turn (looking for better going), was headed at the 200m and then fought on nicely in a good first-up effort. Performer raced in fifth place but wide without cover. He then kept running on well in the centre of the track for third, without looking a winning chance, for a sound third, resuming here. Jonker raced was handily placed most of the way and after being fourth nearing the home turn, he battled on to hold that position, beaten just over four lengths in a sound first-up run.